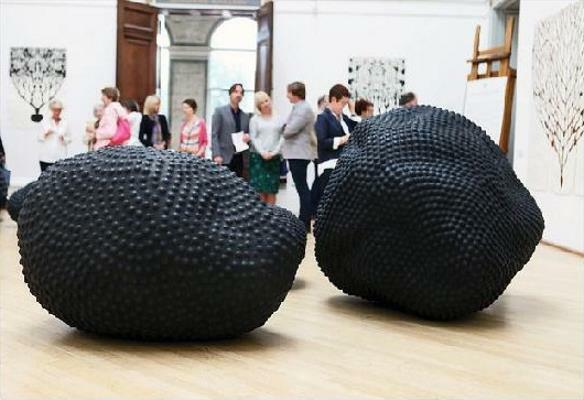 The RWA Sculpture Open will celebrate contemporary sculptural practice in all its many forms. Submissions for this exhibition are invited from artists who either sculpt, or explore the concept of sculpture in their work. Artists of all ages and experience are welcome to submit. From bronze casting to 3D printing, stone carving to found objects, sculpture is arguably the most diverse of artistic mediums allowing unrivalled freedom in materials, process, form and scale. Crossing boundaries between architecture, design, manufacture and craft, sculpture is a constantly evolving art form that pervades our lives like no other - from public monuments to the coins we carry in our pockets, sculpture is all around us. Today, in an age of mass production, sculpture remains a relevant and essential form of artistic expression and individuality.